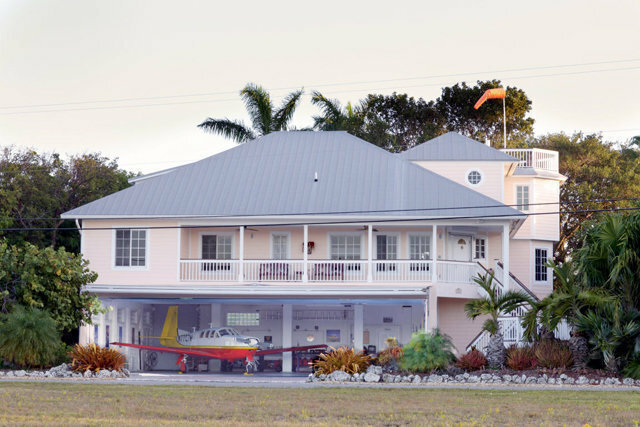 SUMMERLAND KEY, FL Fly your private plane to this exceptional custom built home in the Florida Keys! After you parked in your own hangar, hop on your boat and enjoy fishing and diving in the Atlantic Ocean or Gulf of Mexico. Enjoy the lifestyle of the Fl Keys in this spacious 3 bedroom/4 baths home with open dining and living space, cathedral ceilings, fully appointed gourmet kitchen, a breakfast room, office and a den. 926 sq ft. of covered porches and a widow's walk add to the Caribbean feel of this amazing property. The over sized 17,000 lot is surrounded by native trees, tropical landscaping and a private park which gives the owner privacy and tranquility. Come and fly by to see this gem waiting for you!